Conservatives criticized the company immediately. 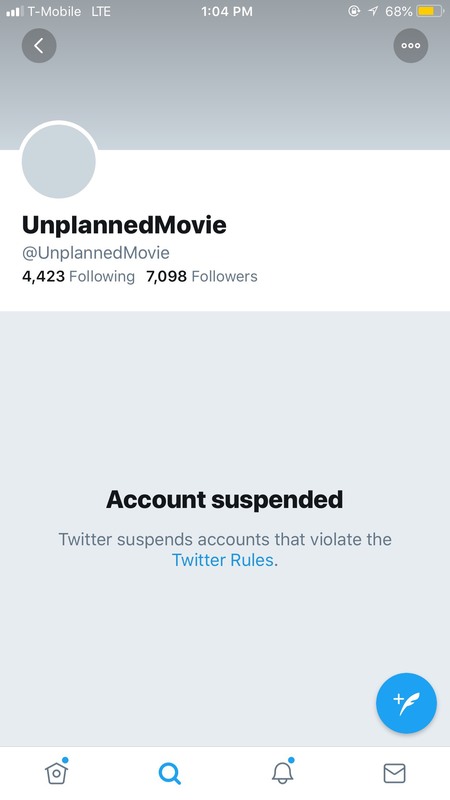 Live Action founder Lila Rose suggested Saturday that her group and “Unplanned” face censorship because of their pro-life views. People were unable at first to follow the account because it takes awhile for a temporarily banned account to come fully online after being re-instated, according to the representative. “An account’s followers take time to fully replenish after it is reinstated. We are not hiding follower counts or disallowing certain people from following,” she said. She added: “We enforce our rules dispassionately and do not engage in so-called shadow banning.” Social media companies often receive stinging criticism from users who believe the big tech companies are censoring conservative content. Twitter, for instance, announced in February that it would begin punishing users who tweeted the phrase “learn to code” as part of targeted harassment campaigns. Facebook, for one, was blasted in March after President Donald Trump’s social media adviser was temporarily blocked from posting content. Tech experts believe the artificial intelligence tools that Facebook, Twitter and other companies use to moderate content on their platforms are not very effective. “If Facebook came out and was transparent, that would be one thing, but a lot of people are arrogant and don’t want to admit their algorithms are imperfect,” Emily Williams, a data scientist and founder of Whole Systems Enterprises, told TheDCNF in March. Williams’ company provides AI solutions for a variety of industries.